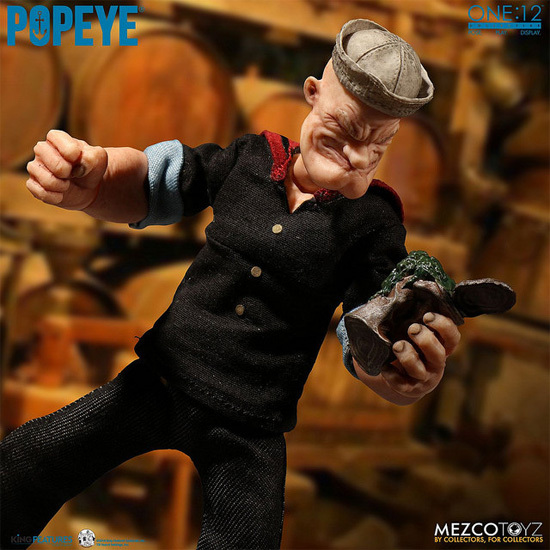 I'm Popeye the sailor man, I'm Popeye the sailor man.... This song ring to a generation of childhood. 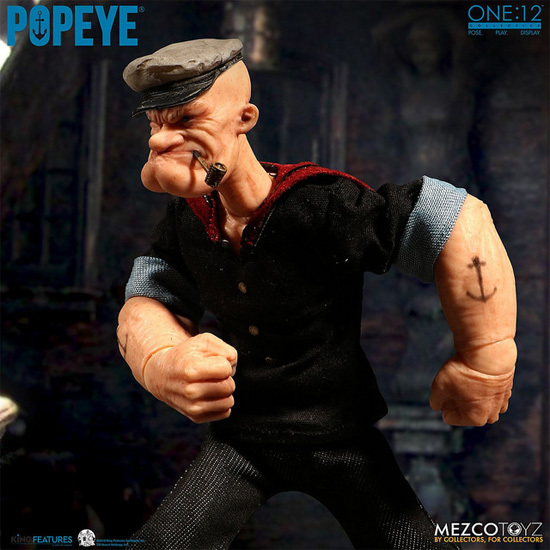 Now there is a decent Popeye figure for adult collector with real clothing! 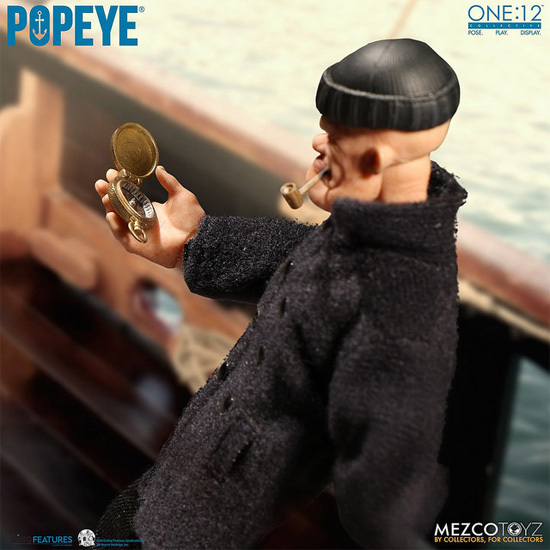 This Popeye is more like a realistic version although in the scale of 1/12 which is around 6 inches height. 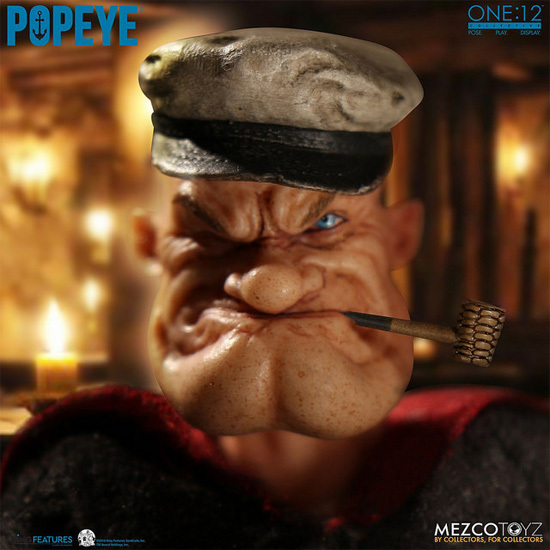 The close up of Popeye look really good but can be scary for some if it is too up closed. 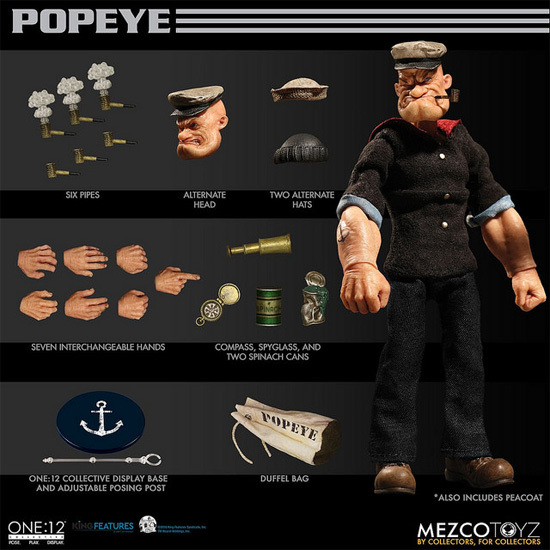 Popeye will comes with 2 cans of spinach which one is closed can and another open and squeezed version. He will comes with a spy glass that fit his one eye. And an Compass since he is a sailor. He will comes with 3 hats to switch around and also his personal duffel bag with his name on it. 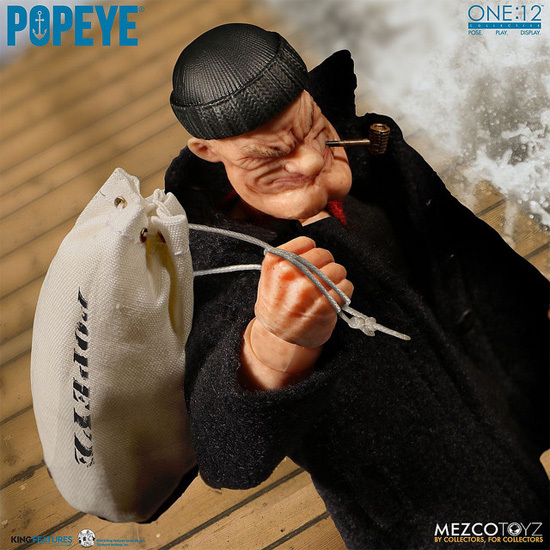 This Popeye will be release between Q4 2018 and latest early Q1 2019 for listed price of USD $80. 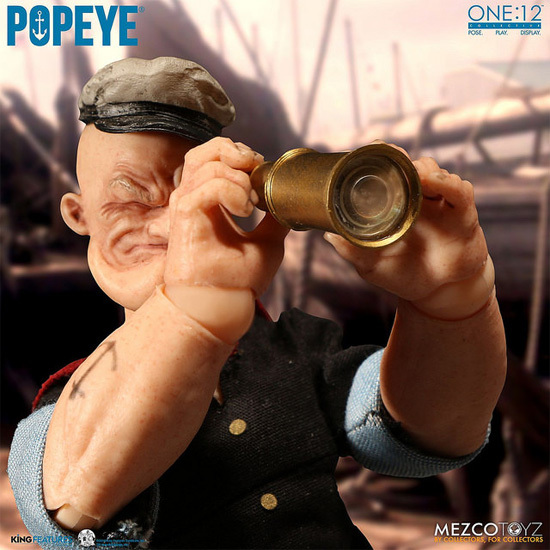 Will you be getting this Popeye?